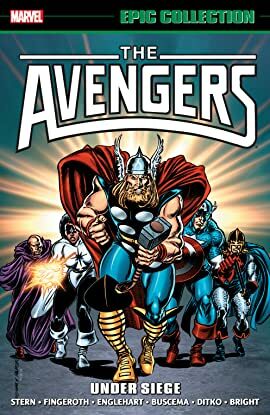 Collects Avengers (1963) #264-277, Alpha Flight (1983) #39, Avengers Annual #15, West Coast Avengers Annual #1. The Masters of Evil take Avengers Mansion! 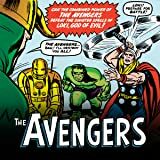 In one of the greatest comic-book epics of all time, Baron Zemo strikes at the very heart of the Avengers as he leads a revamped and larger-than-ever Masters of Evil in an attack on the team's home — and wins! And as if that wasn't enough, Earth's Mightiest Heroes must survive the climax of SECRET WARS II, and a battle for the ages between Kang and Immortus! The Sub-Mariner's membership leads to public protests, but that won't stop the Avengers and Alpha Flight from lending a hand during Attuma's assault on Atlantis. Meanwhile an old friend turns enemy: What's gotten into Quicksilver? Two teams of Avengers will assemble to find out!